Pet owners who are struggling to pay for veterinary services have several options for financial assistance, depending on their location and specific circumstances. Please follow this link for a resource list of financial aid for pets, organized by state. These regional organizations can help owners pay for spay and neuter procedures, pet supplies like litter and food, senior care and much more. Also included on the site is a list of national organizations that assist with pet health issues such as cancer, accidental injury and more. We encourage you to research each program’s requirements and rules to determine if you qualify for assistance. 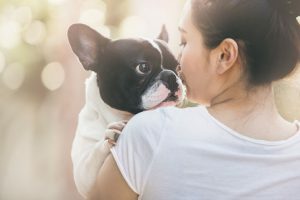 If you are looking for breed-specific veterinary assistance or other general financial aid for pets, you can also browse this document to find the program that’s best for you. We hope that you are able to find comfort and help during this time. Please do not hesitate to contact us for more information about our Companions in Crisis program, which serves animals and their owners in Virginia, D.C. and Maryland.